With seven available 2019 Jeep Cherokee configurations, it’s easy to find one that suits your personal driving needs. On a budget? You’ll love the entry-level Latitude, and you won’t have to compromise on desirable tech features. Or, opt for the trim-topping Overland to turn your everyday Branford commute into a luxurious ride. No matter what trim you choose, your new Cherokee will make you the envy of your New Haven neighbors! 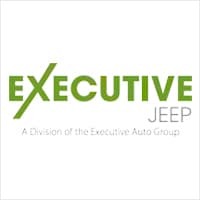 Explore the Jeep Cherokee Interior at Executive Jeep! To get a hands-on feel for the Jeep Cherokee interior, contact us to schedule a test drive in North Haven today! Our finance experts can help you decide whether to buy or lease, then you can apply for financing or use our helpful payment calculator to see which trim level best suits your budget.